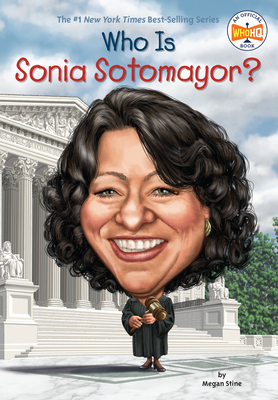 Outspoken, energetic, and fun, Sonia Sotomayor has managed to turn every struggle in life into a triumph. Born in the Bronx to immigrant parents from Puerto Rico, Sonia found out at age nine that she had diabetes, a serious illness now but an even more dangerous one fifty years ago. How did young Sonia handle the devastating news? She learned to give herself her daily insulin shots and became determined to make the most out of her life. It was the popular sixties TV show Perry Mason that made Sonia want to become a lawyer. Not only a lawyer, but a judge! Her remarkable career was capped in 2009 when President Barack Obama nominated her to the Supreme Court, only the third woman and first Hispanic justice in the court's history. Stories of Sotomayor's career are hardly dry legal stuff—she once hopped on a motorcycle to chase down counterfeiters and was the judge whose ruling ended the Major League baseball strike in 1995. Megan Stine has written several books for young readers, including Where Is the White House?, Who Was Marie Curie?, Who Was Ulysses S. Grant?, Who Is Michelle Obama?, and Who Was Sally Ride? She lives in Clinton, Connecticut. With strong skills in art and years of experiences in many genres, Dede Putra has developed a career creating illustrations for books, video game development, filmmaking and fashion.